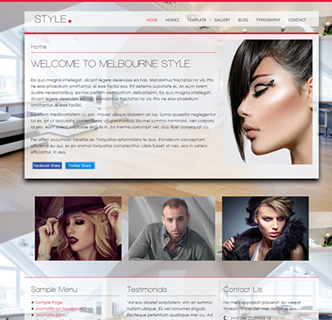 Melbourne Style is a simple design yet feature rich responsive Joomla template that is easy to use and looks professional. This Joomla bootstrap template allows you to upload a background image which is automatically resized to full screen size, perfect to show off your new business interior or salon. Style and glamor is what this Joomla template is all about, with a small collection of carefully chosen fonts to choose from and a semi transparent text background, allowing visitors to see the image/phone behind. 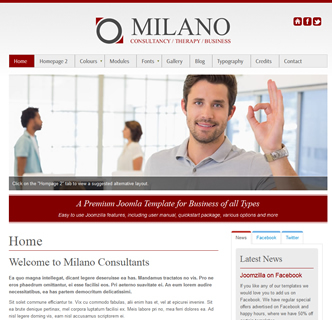 With the large amount of collapsible modules in this template you can customise it to suit your needs, and using the included user manual you will find that working with this Joomla template is much easier than most others, with no additional frameworks to install and only 3 extensions - all included for free. 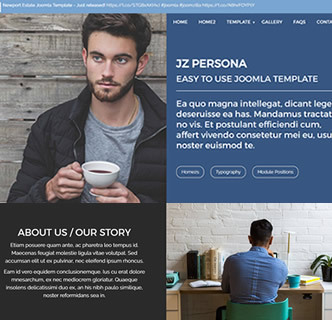 This Joomla template works great with your social media profiles, allowing you to set links to your Twitter, Facebook, Pinterest or other profile at the click of a button in the template manager screen. There are also Facebook and Twitter sharing buttons included. There are various colour options to choose from with this template and you can see the logo to be an image you upload or else plain text. 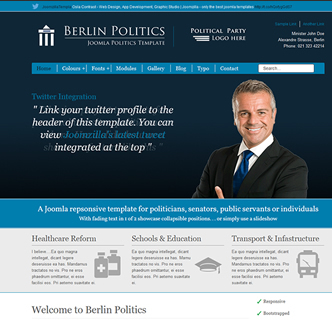 The template is HTML validated and uses the in-built bootstrap framework. 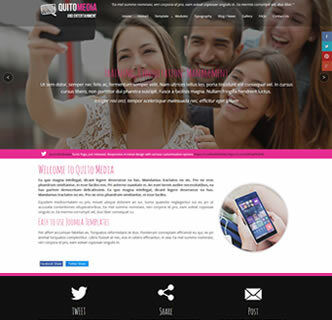 Test drive this Joomla responsive template today, and view it on your mobile or tablet for an alternative view. 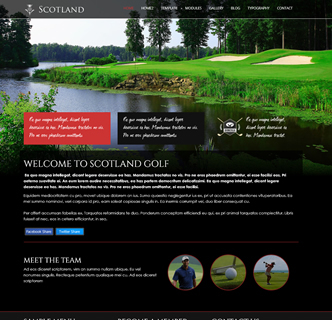 A quickstart package is included with this template allowing you to easily recreate an exact replica of this demo.